The Steens For Kids solid pine high sleeper bed in natural lacquered finish features a sturdy five step ladder which can be fixed to the front right or left side of the bed. Underneath the high sleeper bed offers walk in storage space which is perfect for additional furniture. For extra comfort and extended bed use the Steens pine high sleeper bed is designed for a 90cm weide by 200cm long mattress with a maximum height of 16cm for safety. 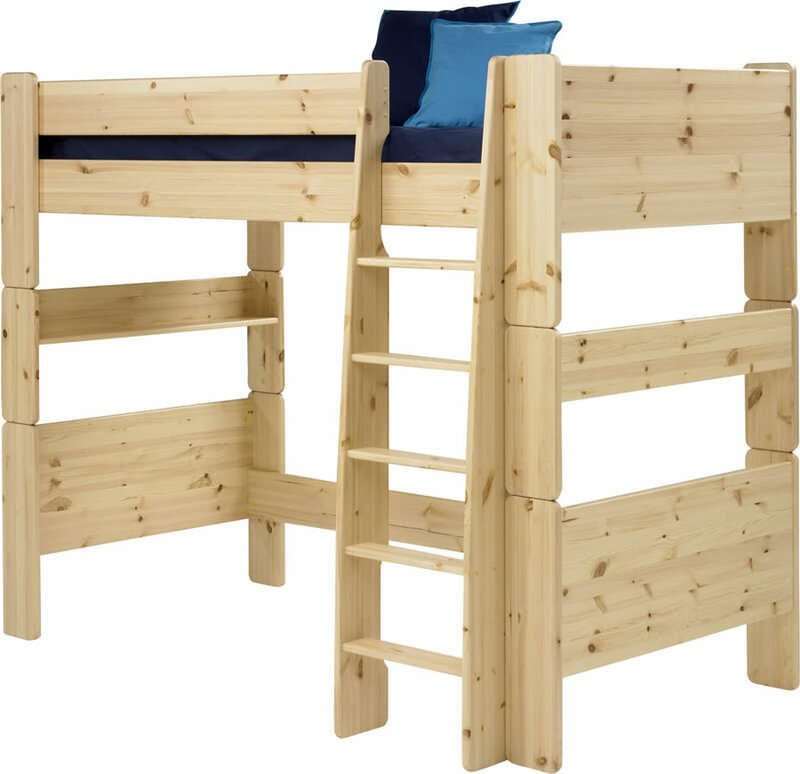 As your family grows the high sleeper can be converted into bunk beds with the addition of a simple extension kit. The high sleeper can also be converted into a single bed by removing the high sleeper components.